My version of nabemono, hot pot, is a mix of Thai and Japanese. I learned to love tom yam on trips to Thailand, the hot and sour soup ubiquitous in Thai cuisine. 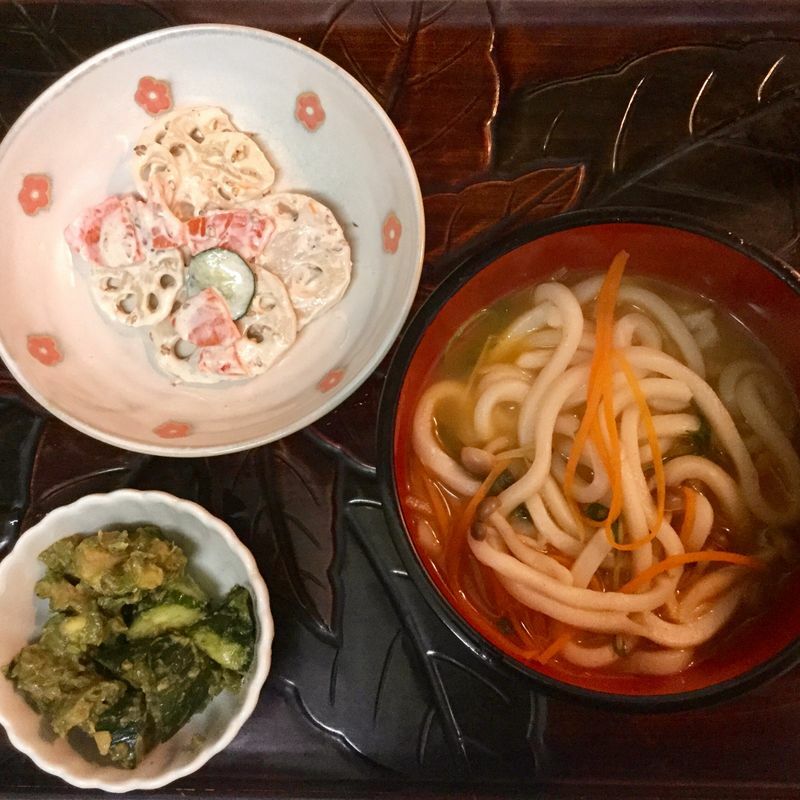 I picked up the fusion of tom yam and nabe from a local, but now closed, restaurant that served udon in the spicy broth. 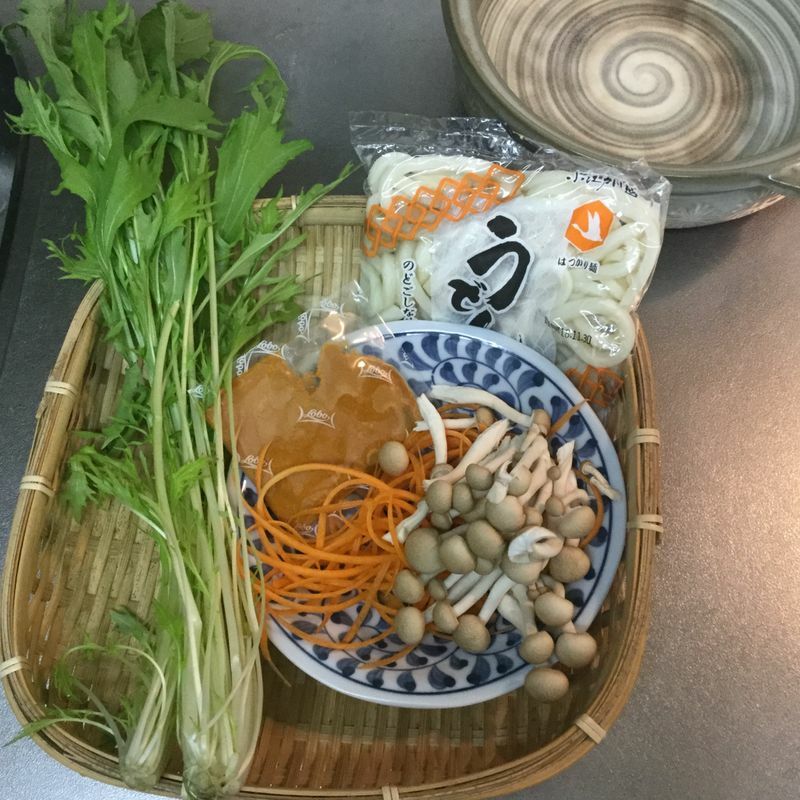 Tonight, bunashimeiji mushrooms, greens, julienne carrot and udon went into the ceramic hot pot with the soup base. Here’s a great trick for getting all the soup base, or curry paste, or even miso out of a plastic packet. Use scissors to cut all the edges off so you can get every last bit of goodness. 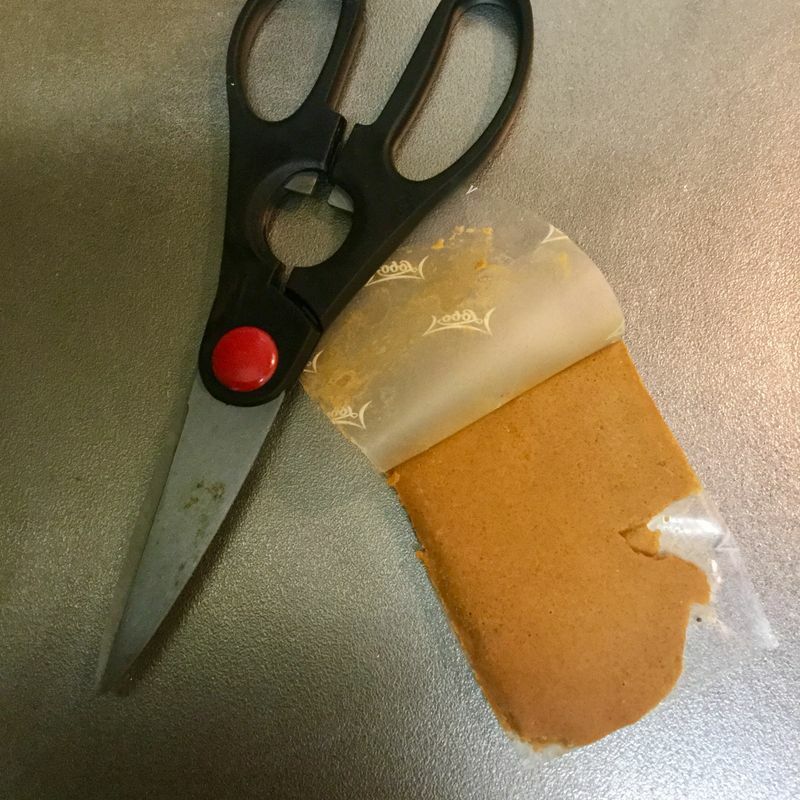 I often get miso paste, too, in a plastic bag, cut the edges off and transfer it to a more stable container. Easy! Tonight’s menu is store bought renkon salad, and my home made triple green salad of diced cucumber and chopped avocado dressed with wasabi and soy sauce. I ate all the tom yam udon.